Flute festivals are popular events that can have many functions: bringing prospective students to your campus or flute club, providing a large number of flutists with pedagogical ideas to improve their playing, giving older students an opportunity for some practice teaching experience and providing camaraderie and a fun social event for young players. This article addresses organization and marketing for a one-day event with a modest budget, without the support of sponsors or exhibitors. At South Dakota State University, I recently held my fourth Flute Day. The first year, we had approximately 35 participants, mostly students in grades 5 through 12, along with my flute studio, who acted as helpers throughout the day. Since many of my students were and are music education majors, this provided them with excellent practical experience. We reached over 80 participants in 2017, and at that point we decided to open it up to all woodwind students. While we were hampered somewhat this year by a winter storm that happened the night before the event, we still welcomed approximately 115 participants in 2018. The exponential growth of the event can be traced directly back to tight organization, a program that provides a worthwhile experience, and building a community in which students feel proud to participate. If you are thinking of hosting a Flute Day for your school or community flute group, or perhaps would like to tweak what you are already doing, below are some ideas based on the event I designed. Good organization and a solid plan before the big day ensure that events run smoothly and that you have the attendance numbers you desire. I always put the date on the calendar nearly a year in advance and aim to update materials online approximately six months before the event. A “Save the Date” card sent out to prior attendees and band directors has also been very helpful. These are actual post cards sent in the mail, which includes the date, cost, and a description of the day’s activities. Since band directors are often deluged with materials, sending a couple of separate mailings, if finances allow, helps increase the probability that they won’t be lost in the shuffle. If you aren’t in a financial position to send snail-mail materials, posting the registration information and application online and distributing via e-mail also have good results. Approximately two months before the event, I send out physical letters describing the event (along with application forms) to the band directors in my target area. Because South Dakota is a low-population state, my target diameter is approximately 90 miles from my campus. I also include the bands and students on the other side of the state, which is the second-most populous area of South Dakota’s 800,000 residents. These materials are uploaded to our studio webpage as soon as they are available. I give a registration deadline of one month before the event so that I am able to send out any necessary music to participants and plan for the approximate number of attendees. Each participant is given a brochure about the university and the music program, a pencil, and a t-shirt. We also hold a raffle for items donated from our admissions office and marching band program such as band shirts, hats, and water bottles; lanyards; stickers and lightweight drawstring sports bags. Even with this healthy lead time before the event, I am realistic and know that there will be a considerable number of late registrations. I welcome walk-up registrations on the day of the event, but I do tell those students that I can’t guarantee the availability of any goodies that go along with pre-registering. About a week before the registration deadline, I email band directors and prior participants as a reminder. I will send one or two more email reminders, usually one right before the deadline and one afterwards stating that we will still accept registrations. While I don’t like to feel that I might be hassling people, these reminder emails always result in additional registrations. We charge each participant $5, which is the only cost associated with the day; this fee goes towards the t-shirt expense. It has been fun to see these t-shirts being worn across the region, and some former participants who are now involved in my flute studio at SDSU still wear theirs from years past! It is an excellent investment in terms of recruitment. One of the best things about a life in music is the opportunity to work with friends when choosing a guest artist, and I have usually done some kind of swap with the clinician. I will teach and/or perform at one of their events, and they will do the same at my Woodwinds Day. This year, my guest artist was Professor Misty Theisen from Mars Hill University near Asheville, NC. She was perfectly suited for this event, as she has considerable experience teaching younger students from her time as a public school band director. According to Theisen, being invited to be a guest artist at a flute or woodwind day is a great honor. Below, find her thoughts on preparing for the event, planning special topics and masterclass sessions, choosing repertoire, and making it a collaborative event. PREPARING FOR THE EVENT: Hosts, get in contact with your guest artist well in advance to ensure you’re on the same page with dates, times, expectations, and so forth. Quite often, as a guest artist, you’ll be asked to play a short recital and present a masterclass. Prepare an abundance of material in great detail, but understand that any activity could take longer than you expect. This approach will ensure that you will fill the time allotted, and you can cut or stretch activities as needed. When performing a recital, keep it light but engaging; there are many pieces with significant substance that will keep your audience engaged. Play things that are fresh and new, understanding that young audiences want to connect with living composers. If the opportunity presents itself, program chamber music with the hosting faculty and/or current students. Nothing is more fun than making music with friends, which is a often a major factor in students’ decisions to come to your flute day in the first place. SPECIAL TOPICS/MASTERCLASS: When presenting a masterclass for a Woodwinds Day, know your audience. In the majority of these events you never know exactly who’s going to show up that day. You could have a perfect balance of woodwinds who all registered on time and all brought their music…or you more likely will have 70,000 flutes, 4 clarinets, 16 tenor saxes, one oboe, and half a bassoon. You get the idea! Don’t lose sleep the night before the event, worrying about the uncertainty. Plan for everything—plan a range of activities, including some demonstration, but mostly interactive activities in which everyone can participate. If you are creating parts or bringing music, be sure to include C (treble/bass), Bb (high/low), and Eb parts. If you are including auxiliary instruments such as alto flute, bring that music as well. I strongly recommend that you bring paper copies of your materials as well as digital copies that you can quickly pull up from Google or a flash drive. REPERTOIRE: We can all agree that we want students to have positive experiences at a Woodwinds Day that inspire them to continue to grow as musicians and possibly explore music as a career. Plan your repertoire accordingly. When selecting music for students to play, such as in a large flute choir setting, choose music that has parts appropriate for a variety of skill levels. No one likes showing up to an event to find that the music is too easy or too hard. Take care before students arrive to give everyone their best chance at being successful. Assume that you will have students who know only five notes and you will also have students preparing to audition for college. COLLABORATION: Include the host school’s students and faculty. Make your class as collaborative as possible. As a guest artist, you are there to keep students happy and the event running smoothly, so use the home team to help teach sectionals and perform with the younger students. Hopefully everyone walks away from this event feeling inspired, rekindling or forging a new friendship, and undoubtedly looking forward to next year’s Flute or Woodwinds Day! 8:10 – Student Helper Orientation. My studio members arrive and arrange materials for check-in. We delegate jobs and identify where the first aid kits are. 8:30 – Registration. Here we collect outstanding registration fees, check everyone in, distribute t-shirts, sign them up for the afternoon raffle, and make name tags. The participants also receive an SDSU folder, which includes information about the university and music department as well as a pencil. 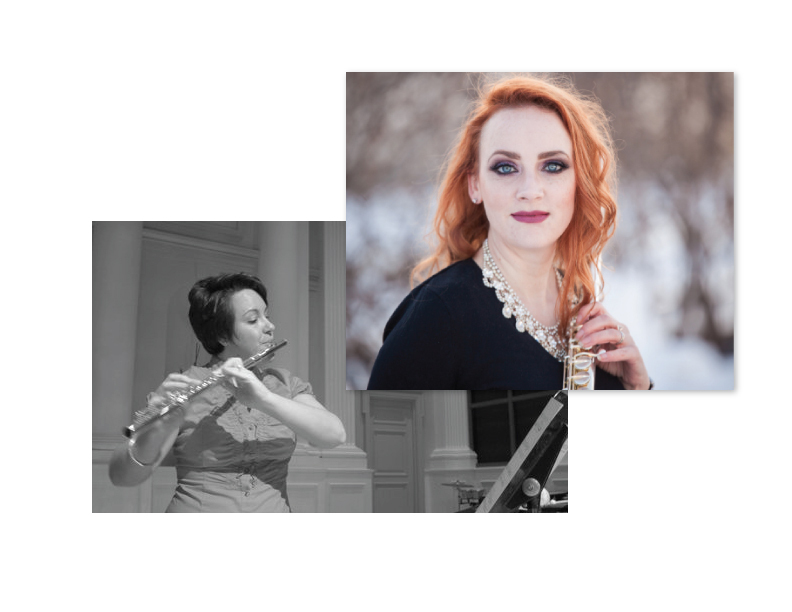 My flute studio members are absolutely essential in making the registration process run smoothly, as this period generally lasts from 8:15 to 9:00. We are usually busy the entire time. 9:00 – Warm Up. We gather as a group at 9:00. First we introduce all of the key people, including faculty, the guest artist, and the student helpers. We make sure the participants know who to find if there are problems, concerns, or emergencies. Then the guest artist begins the warm up. 9:30 – Morning Ensemble Rehearsal. In preparation for the large flute/clarinet/saxophone choirs finale concert, we distribute the music in advance. We also plan a couple of rehearsals during the day. This year we split up by instrument type, and SDSU students helped participants by placing themselves throughout the group. That way, the younger students could hear what their parts were supposed to sound like if they weren’t feeling confident. 10:30 – Guest Artist Special Topics/Masterclass. This portion of the day is largely up to the guest artist and tends to focus on their area of expertise. It is generally something that is broadly applicable, such as scales, articulation, vibrato, technique, intonation, performance anxiety, and so forth. 12:00 – Lunch. After spending a few hours together, lunch is a good time to begin cementing some new friendships. At SDSU, we take participants to the Student Union, which features a number of fast-food restaurants. It provides choices for the participants, is relatively quick, and allows everyone to be in the same place so we don’t have to worry about losing anyone. 1:30 – Performances. This is a flexible block. The guest artist always performs, and I usually do as well. Since this is the first year we have included all woodwinds, we also included performances with our clarinet professor as well as the clarinet ensemble. In terms of recruitment, it’s a great idea for as many people to perform as possible. You never know whose performance will inspire one of the participants! 2:30 – Staying Involved in Music. This discussion is largely run by SDSU students. The goal is to show the participants that there are many ways to stay involved with music in college, and they don’t all have to be music majors! The SDSU students introduce themselves and describe their involvement. This includes music majors, music education majors, music entrepreneurship majors, music minors, and students who aren’t majors or minors, but who perform in ensembles, applied lessons, small ensembles, and/ or other types of music coursework. This allows the participants to see there’s a significant range of possibilities so that they don’t feel that their involvement in music has to be all or nothing. My SDSU students get a lot of satisfaction out of this block and really feel they’re giving back and providing information that would have been (or was!) helpful to them when they were younger. It’s rewarding to now see former Flute Day participants sitting on that stage as current SDSU music students. 3:00 – Afternoon Ensemble Rehearsal. This is one more quick opportunity to finish up any parts that weren’t rehearsed enough in the morning. It’s also a chance to completely run through the pieces, since the performance follows. 3:30 – Set Up for Final Performances. Everyone reconvenes in the largest space in order to prepare for the ensemble finales. The stage is set up and parents and band directors enter the hall to enjoy the performances. 3:45 – Finale! The final flute, clarinet, and saxophone choir performances happen last. We also do a raffle drawing as the ensembles transition on and off stage; the prizes include materials donated from our admissions office and from our marching band. 4:15 – Celebrate your successful day! You’ve provided an excellent, fun event for a lot of young musicians. In summary, Flute or Woodwinds Days are excellent events in terms of recruiting; they bring a good number of prospective students to your campus or prospective members to your flute club. They also provide a service in that they offer pedagogical ideas that raise the standard of playing throughout your outreach area. They allow older players to obtain practical teaching experience. Finally, these events offer camaraderie and a fun social event for young players. Your participants are able to develop friendships with other students who share their interests. The effort you’ve put forth in organizing this event will bring benefits that continue for years to come! * Thanks to Dr. Michael Walsh, Associate Professor of Clarinet at South Dakota State University for providing feedback on this article.